CAP Prime Scalper EA is a Forex scalping EA that uses a smart system to detect key breakout signals then cuts the profit of the move as much as possible while minimizing the loss. The robot automatically analyzes the market volumes and volatility and follows strong supply and demand movements. It smoothly sets breakeven levels and features the built-in smart mechanism for partial closure of profitable trades. 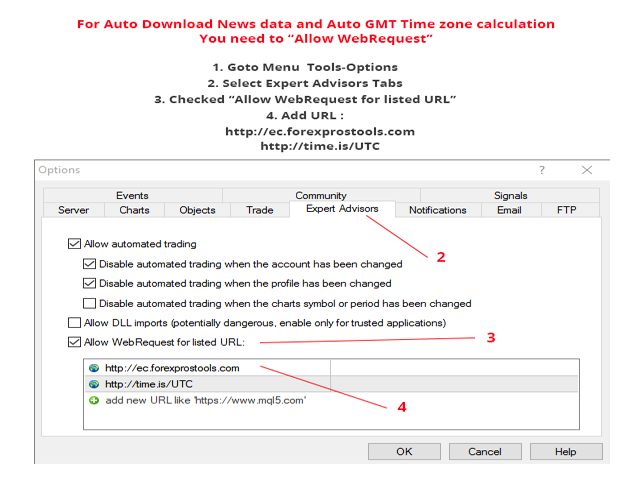 It also has option to stop trading before important news releases to avoid slippage and spread widening. Uses fixed stop loss and trailing stop of profitable trades in its operation. Is optimized using real ticks with 99.90% model quality. This EA is very easy to setup, you just need to set few parameters and it will run automatically. It has the functions of the multi-currency trading. The Virtual Mode allows you to place orders and net profit levels without a broker. Default setting are already configured for EURUSD (M30, H1, H4) and GBPUSD (M30, H1, H4). Working currency pair/timeframe: EURUSD, GBPUSD H1. 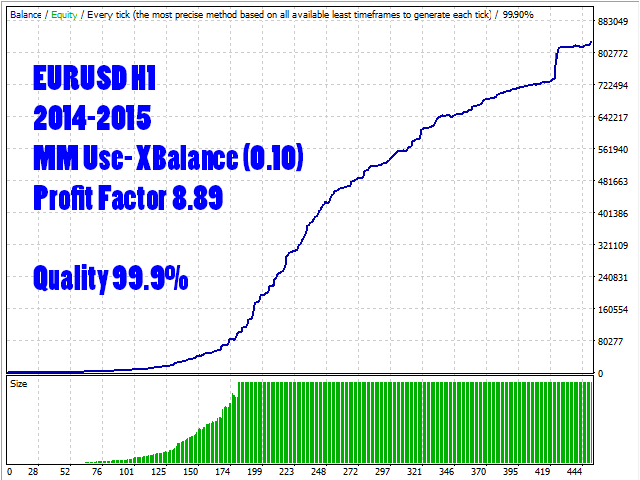 It is important to backtest CAP Prime Scalper EA with the simulation coefficient of not less than 90%. Some brokers have a significant delay in triggering of stops and orders, which is critical to any trading. For a complete description of the input parameters of the EA, kindly read the user guide. Initial StopLoss - Initial Stop Loss (in points). Hidden StopLoss - Hidden Stop Loss (in points). AskPriceShift/BidPriceShift - Parameter representing the breakout points shift value. Signal Frequency - Parameter representing the signal points. Increase value for better performance and less trades. Volatility Scale - Volatility range for price analysis. 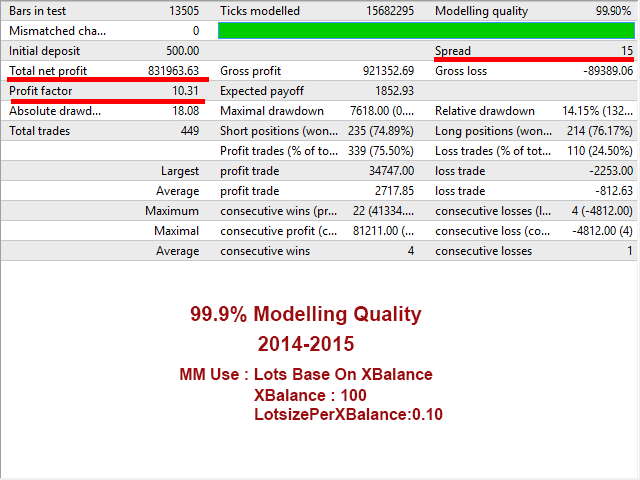 SplitProfitLots - Enable profitable order division mode. Start Split - Points of profit to start dividing a profitable deal. 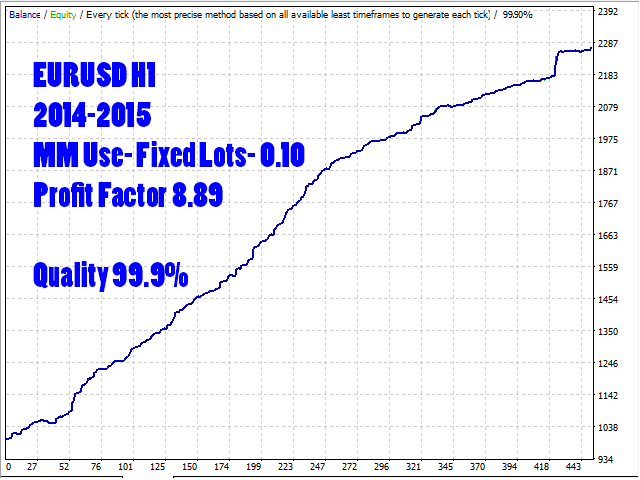 Split Lots Percentage - Lots percentage for each profitable deal division. Maximum Spread - Maximum spreads limit. Custom Commission (USD per lot) - Commission for per standard lot (not used by most of brokers). SLWithSpreads - If true, Spreads will add with Stop loss. ResetSLforSlippages - If true, Stop loss will be reset if stop loss change for slippages. This EA works very well, I like how the EA detectet a scalping situation an more importat how he ends the trade in TakeProfit. bad EA.. lot of losses in live accounts. the functions dont work properly. Very good support from seller. working on getting a review together, enabled on the three pairs with starting low risk and will see whats the story with this. I have 2.8ms to broker vps.. update in the coming days, weeks. no good here, you are welcome to try it. ideally the market place would provide a refund option to its customers, even steam (for pc games) added this option eventually because its a common decency. Nice EA, really awesome! Recommended. Very good robot, very safe and protective internal money management system, i am very glade to finally get the right stuff after alot experiments and frauds in forex systems, this is the best breakout with low price robot is undoubtedly the true solution of making money. But keep in mind EA robot is broker dependable. May be all broker will not be same result. EA's performance is very successful. I'm on a Tickmill account. There was no proplem. Customer support is very nice. He answers every question instantly. I will process in another real account without waiting too much. I believe that my plans for myself will come true. I am Hopeful with the latest version that it Will be more profitable and control better the risk EA is a very great piece of software which everyone should buy to trade with. Nice, New version much better then old one. This expert place stop order at previous high/low and waiting for the market to break these high/low. Using the mechanisem of spliting the order to secure the profit. The historical data strategy test is totally meaningless!! As it assumes the spread does not change. However, the market does not work that way, there are ususally big amount of pending order around the previous high/low, when market price break those high/low, the pending order are triggered, and the because of the amount are usually much bigger than other price, the break through reasult in spread change, and this sudden change may last only a few tick, but enough to distroy the EA system, and result in loss. Afther this, the market did pass through the high/low, but you were kick out of the market!! This EA is very badly designed! I run it for a few weeks, not even a single week results in profit. - Added auto news filter (news downloaded from the news website). - EA stop to open trade, fixed this problem. - Improvement Some Coding and trading logic. --> New Input 'Filter Trade'. Select trade filter by MA's trend. --> Improved code logic and improved strategy. --> Improved code and trading logic. 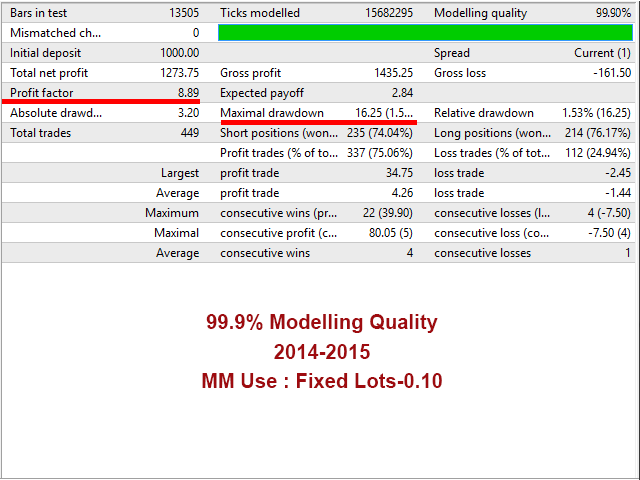 SplitProfitLots - profitable order division mode. Split Lots Percentage - profit percentage for each profitable deal division.